Can you help find Anna May Morrison? Police are becoming concerned about missing Anna May Morrison. 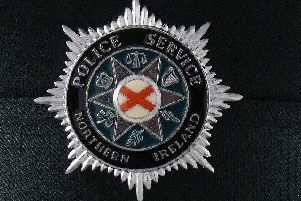 A post on PSNI Facebook says she was reported missing on March 15 - and was last seen wearing a black rain coat, black track bottoms and black/white trainers. The post adds that she is 5ft 8ins tall and of a slim build, with long black hair and blue eyes. “If anyone knows her whereabouts please let us know by calling us on 101,” adds the post.